Hi guys! It's Election Day here in the US! I won't get into politics here, but I do hope you exercised your right to vote if you are over 18 and live in the US. 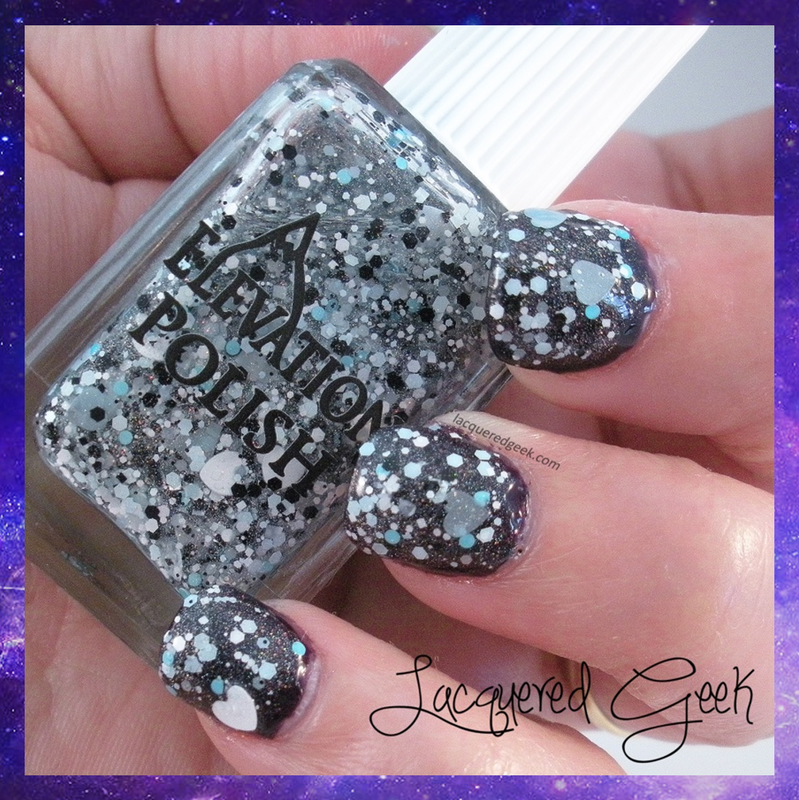 Today, I've got a very cool glitter topper from Elevation Polish to share with you today. 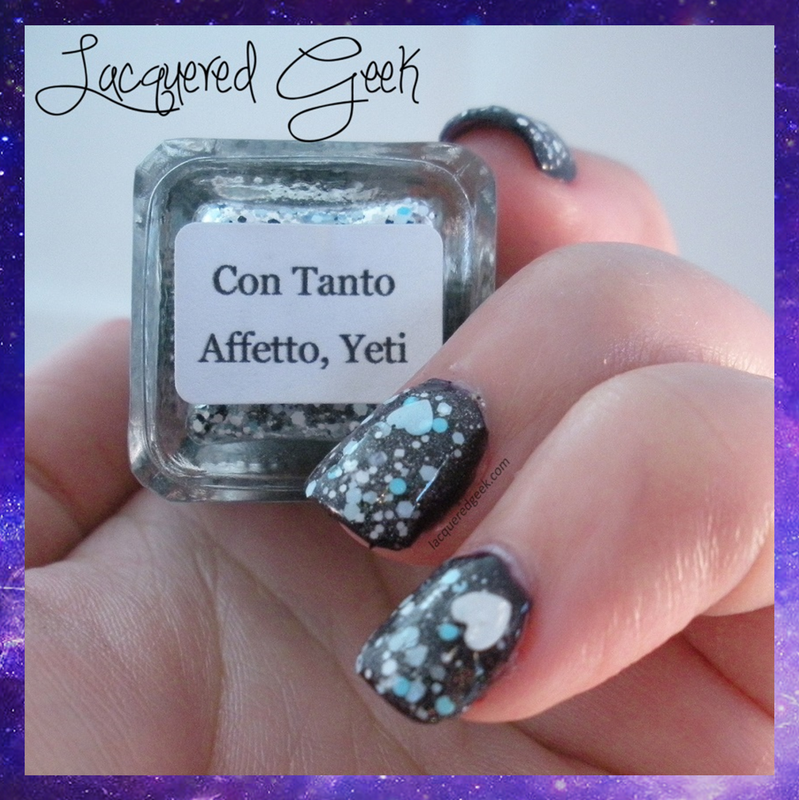 Con Tanto Affetto, Yeti was the limited edition Yeti polish from August's The Italian Collection. 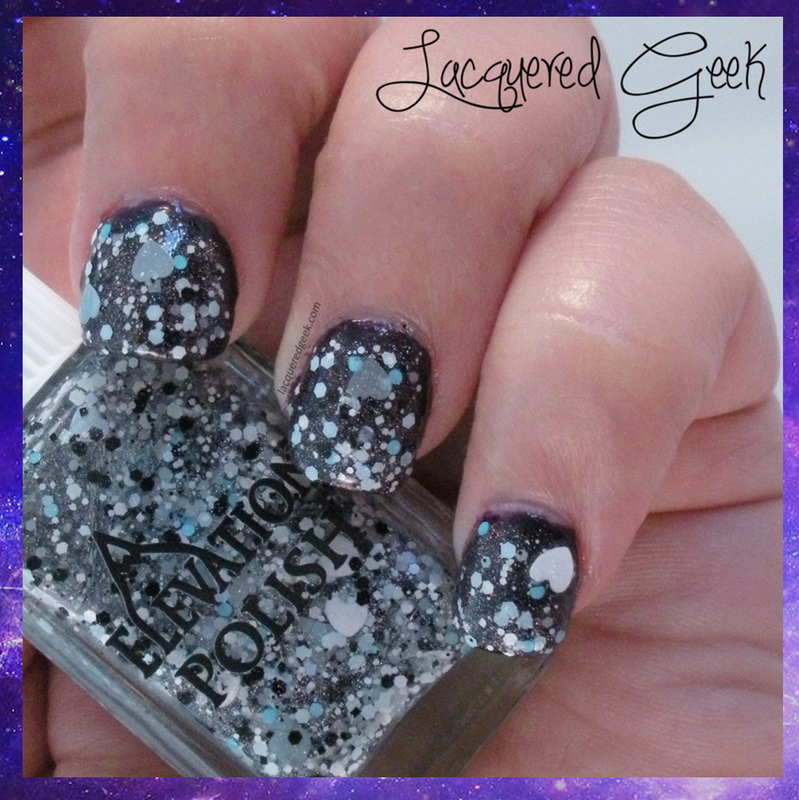 It has a clear base with black, white, light blue and turquoise glitters, along with larger heart glitters and holographic shimmer. 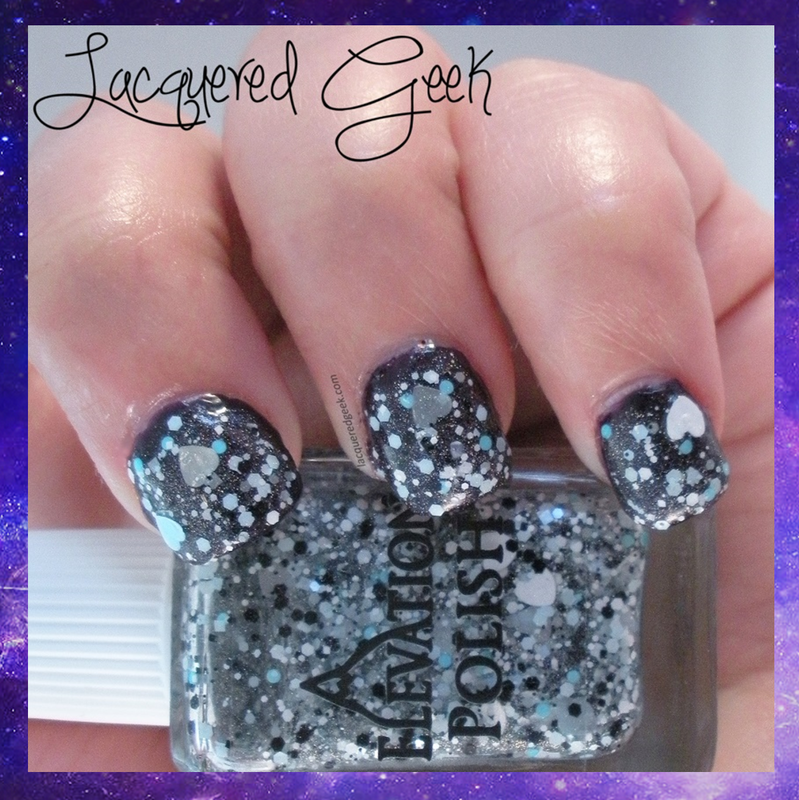 There was great glitter payoff with this polish! The glitter, even the hearts, were easy to get out of the bottle and onto the nail. You just have to move the hearts to where you want them! These photos show one coat of Con Tanto Affetto, Yeti over undies. I really like this polish because it looks great over both dark and light colors. Since it was a LE polish, it is not available from Elevation Polish, but you may be able to snag one from a blog sale. Be sure to follow Elevation Polish for news and swatches of upcoming collections! I love all of the different kinds of glitter in this polish! Looks like a pain to paint, but well worth the struggle! It actually applied really well. I just polished like I would with a regular polish, and then moved the hearts where I wanted.